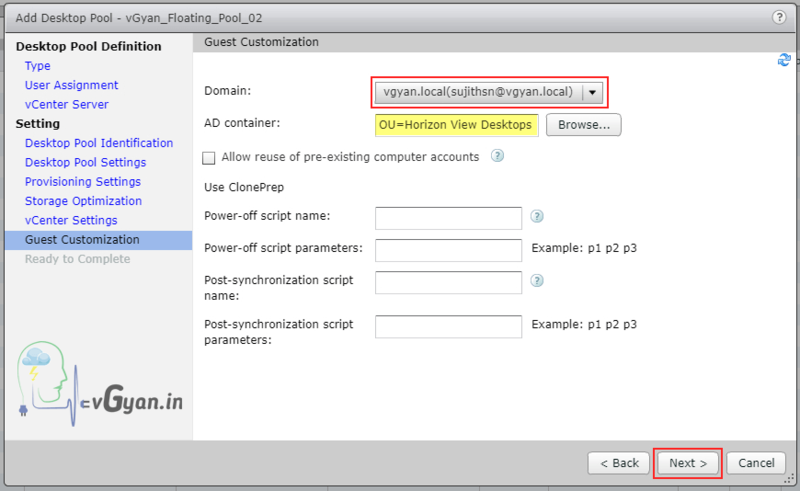 Today we will discuss about How to Create Floating Desktop Pool with help of Instant clone Technology. 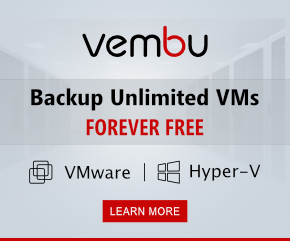 Many organizations prefer floating desktop pool instead of providing dedicated desktop to end user. 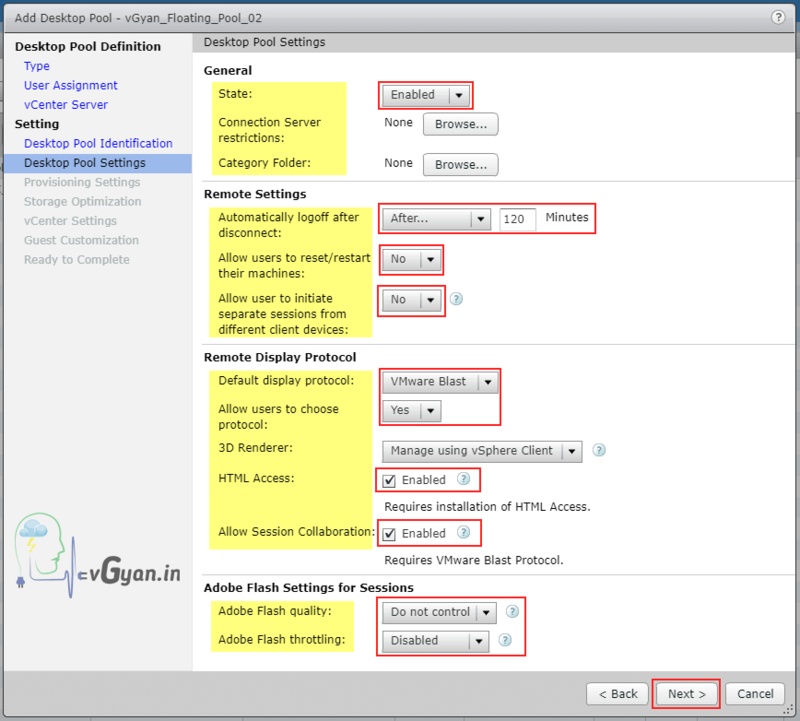 Floating user assignments can save underlined computing resource/effective solution for 24/7 operations etc..
Let’s start with desktop pool creation.. 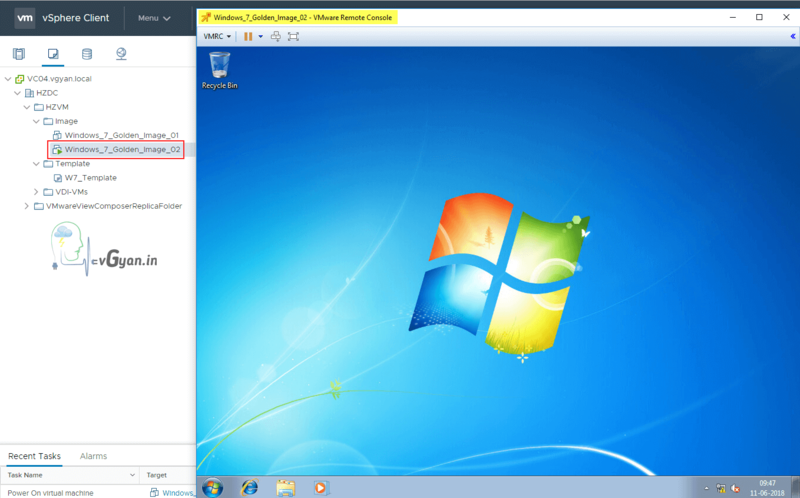 Create new Windows 7 Golden Image from existing Windows 7 template. 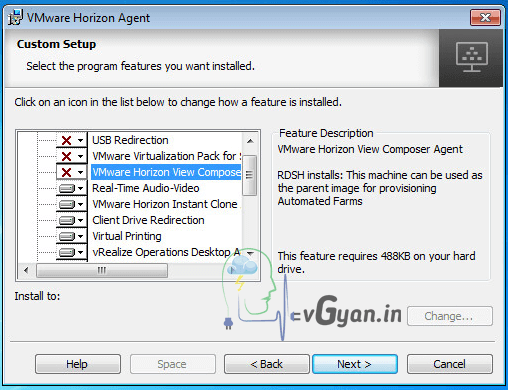 Windows 7 Golden Image 02 Virtual Machine is ready, lets proceed with VMware Horizon Agent installation. 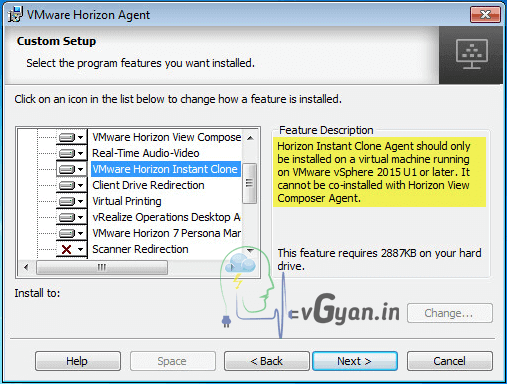 While installing VMware Horizon Agent, from custom setup select VMware Instant Clone. 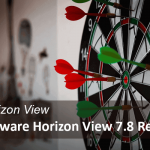 From custom setup, disable VMware Horizon View Composer. 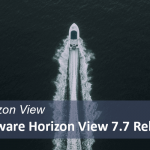 From custom setup, disable VMware Horizon 7 Persona Management. 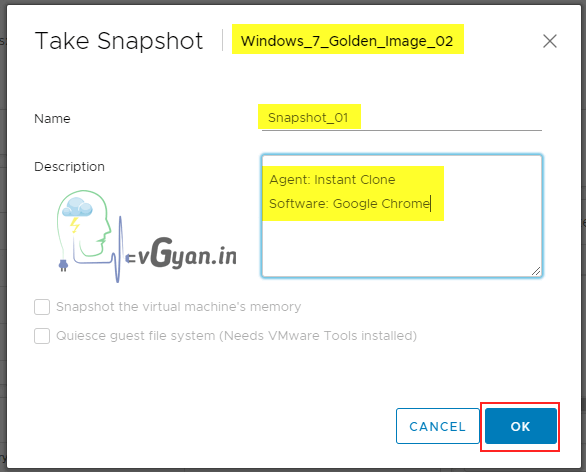 Click Next and continue with Agent installation. Once Golden Image is ready, take one snapshot “Snapshot_01”. 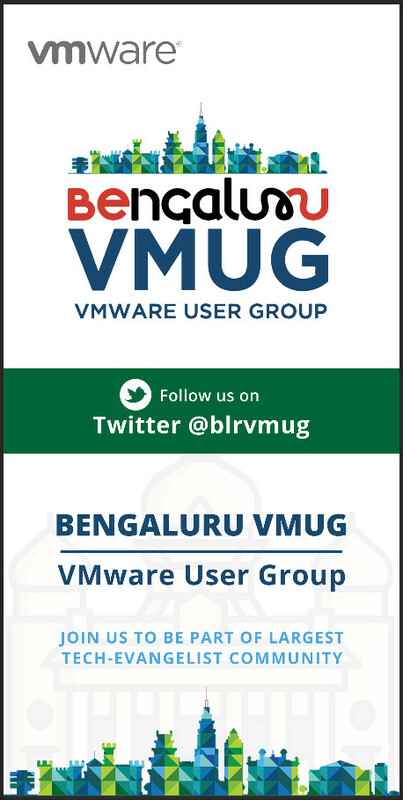 Note:- I installed google chrome on this golden/base image. Verify Snapshot_01 from snapshot manager. 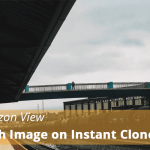 Add one Instant Clone Admin Domain administrator, Instant clone domain admins should have below permissions. 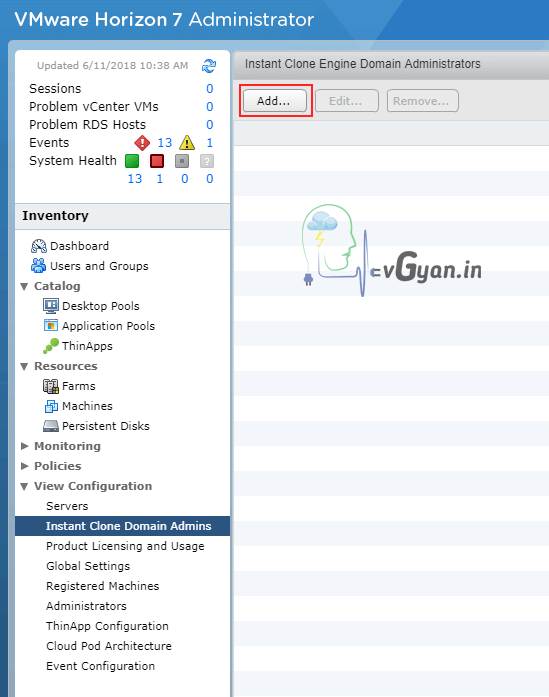 Provide Domain Admin details and click OK.
From administrator console, Under Inventory > Catalog > select Desktop Pools. 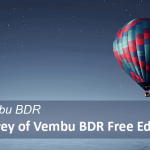 Today we going to discuss about Automated Desktop Pool with Instant Clone technology. 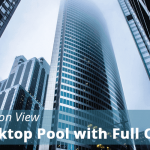 As I mentioned earlier, we are going to deploy Floating desktop pool. So select Floating option. 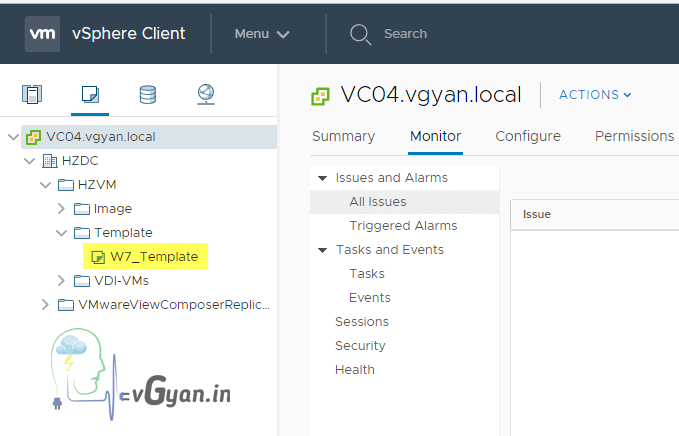 Select Instant Clone option and select targeted vCenter server and view composer which we already added to view environment. 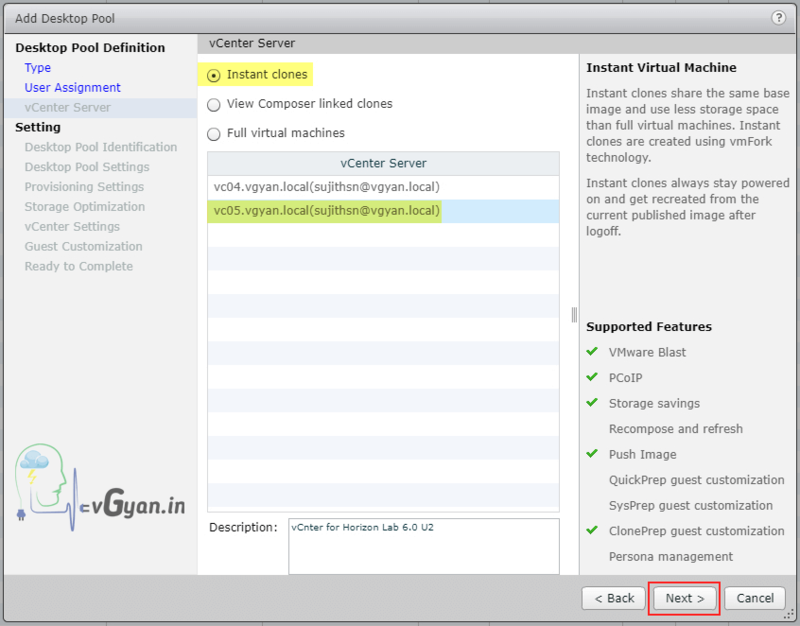 Note:- I have added another vCnter server vc05.vgyan.local which is running on vSphere 6.0 U2 for instant clone creation. 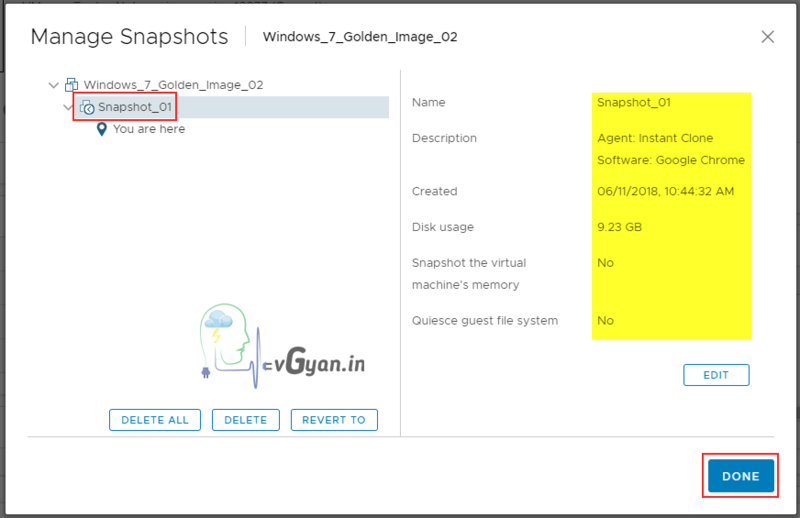 In vCenter settings, we have to specify golden image, snapshot, VM folder, Resource details etc.. 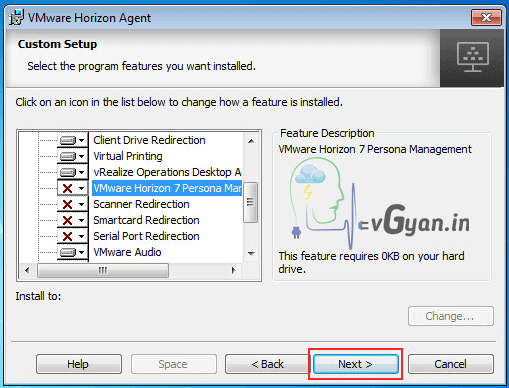 Select Parent VM from browse option, Select windows_7_Golden_Image_02 and click OK.
For creating windows 7 golden image, refer here. 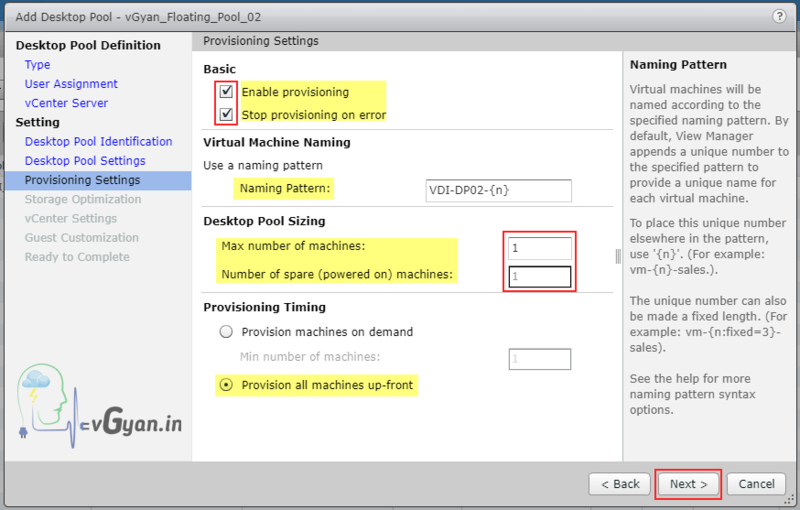 In the Domain box, from the drop-down menu, select the domain in which newly created virtual desktop machines will reside. 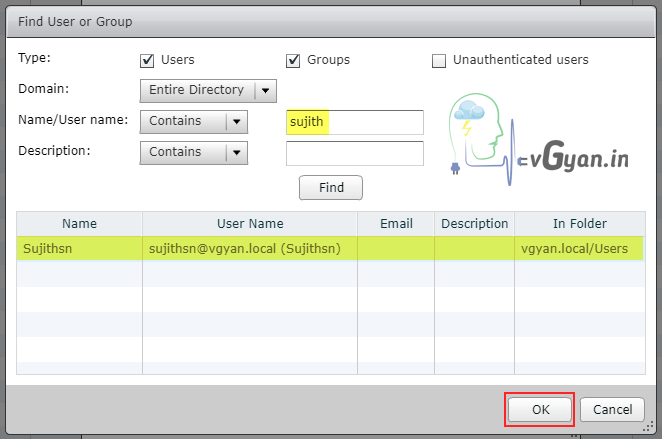 Then, in the AD container box, Browse in the container name of where the desktop accounts should be created. Select Use Quick Prep and click Next. Verify all the details and select “Entitle users after this wizard finishes”option. 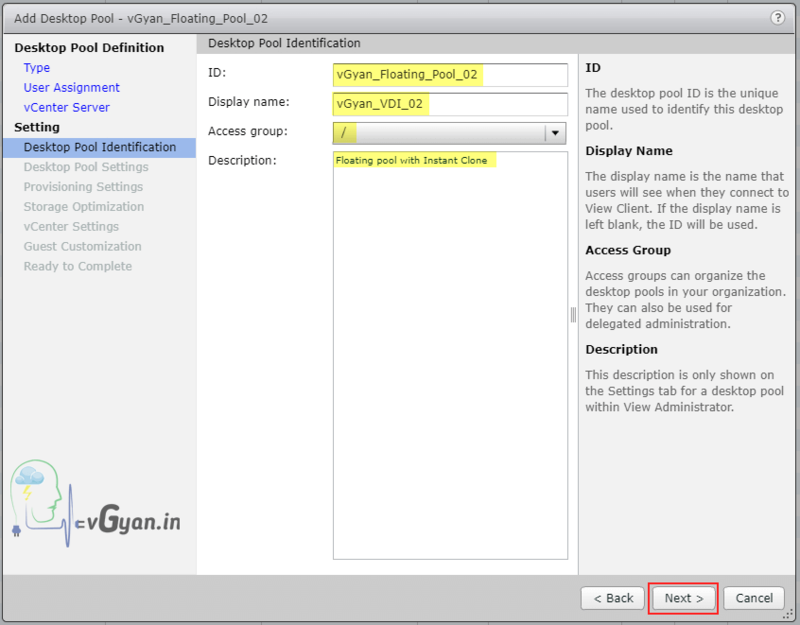 From User Entitlement pop-up, select required Users/Group and click OK.
Verify newly created desktop pool “vGyan_Floating_Pool_02” under desktop pool tab. 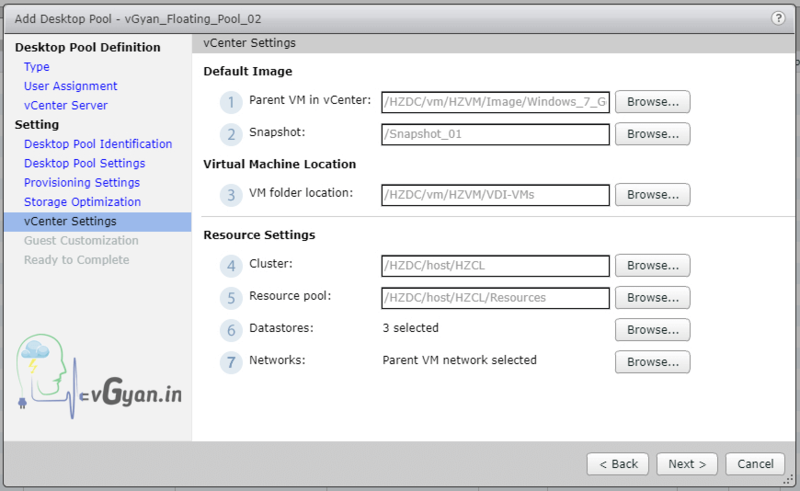 Below screenshot shows, VDI-DP02-1 Instant Clone virtual machine created successfully on vCenter. 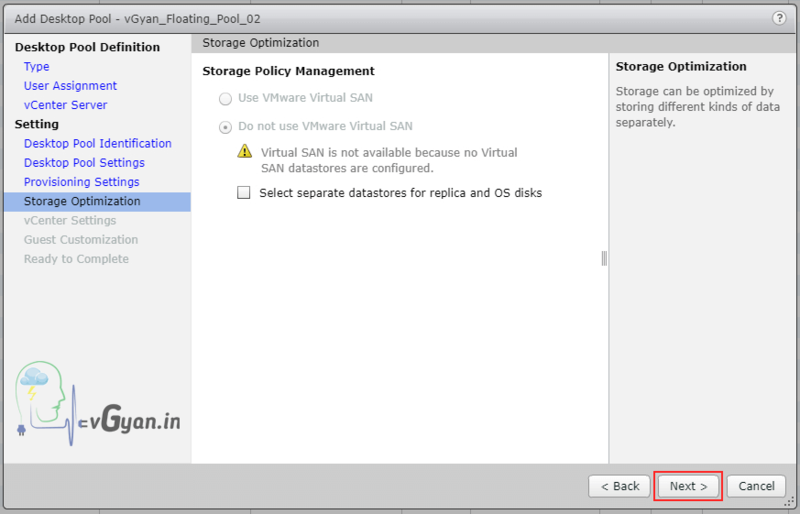 Verify “VDI-DP02-1” desktop in desktop pool inventory and the desktop should be in available state. 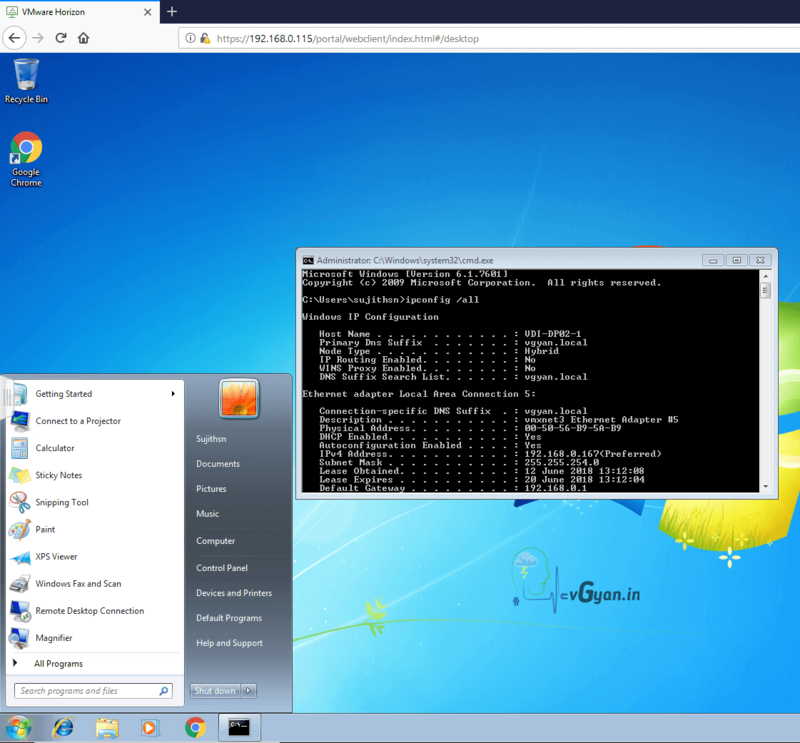 Let’s try to connect, open connection/security server URL/FQDN. 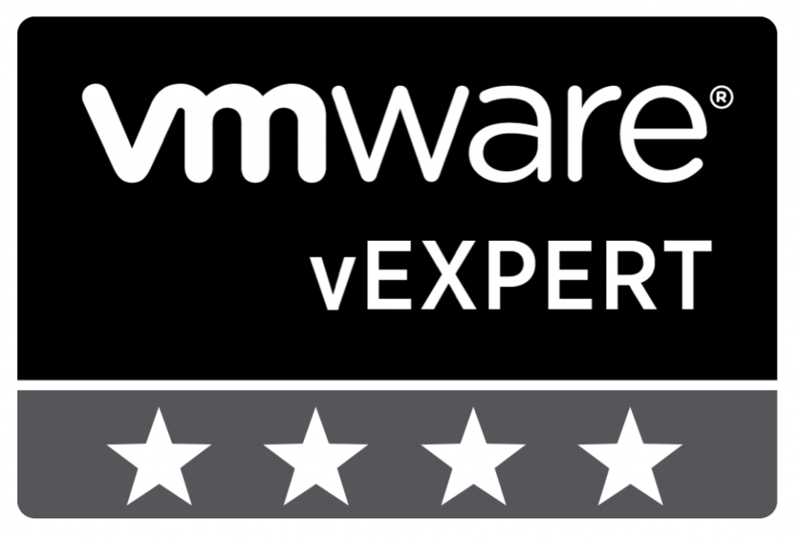 I am using my security server for connecting. 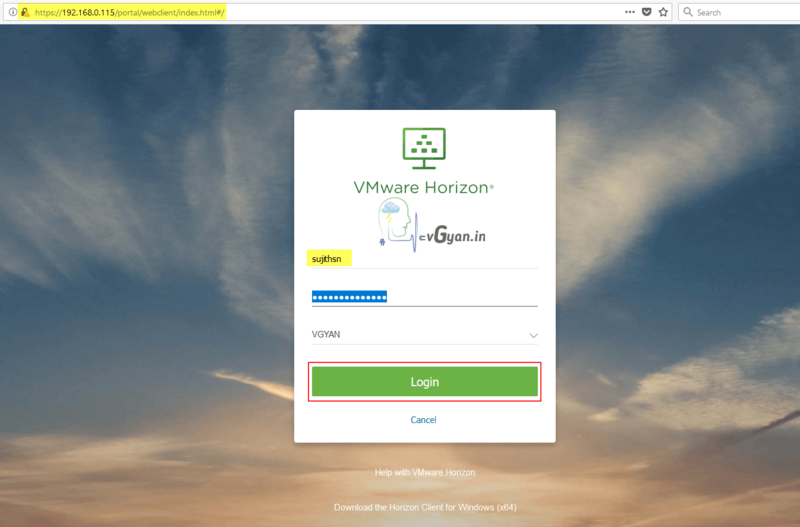 Provide user name and password and hit on Login button. 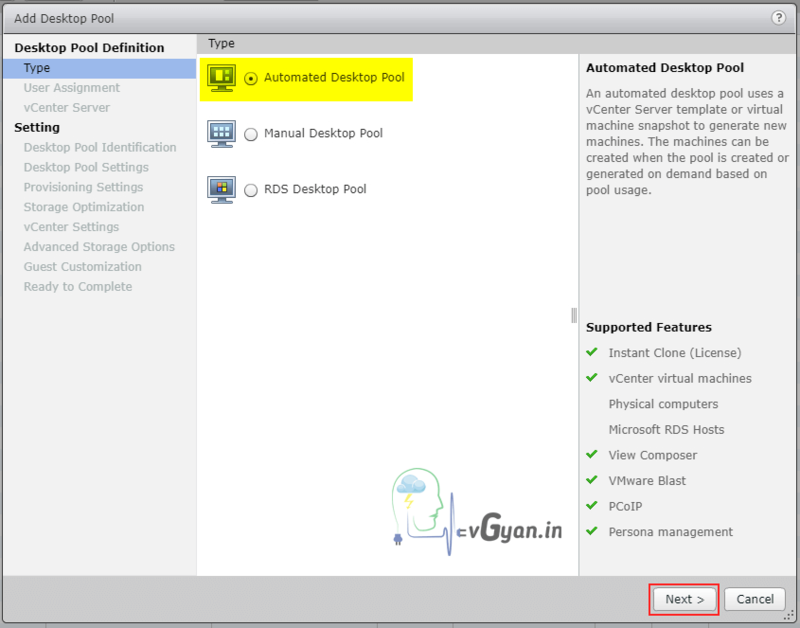 Here you can see two available desktop machines, one is from dedicated pool and another one is recently created floating desktop pool. 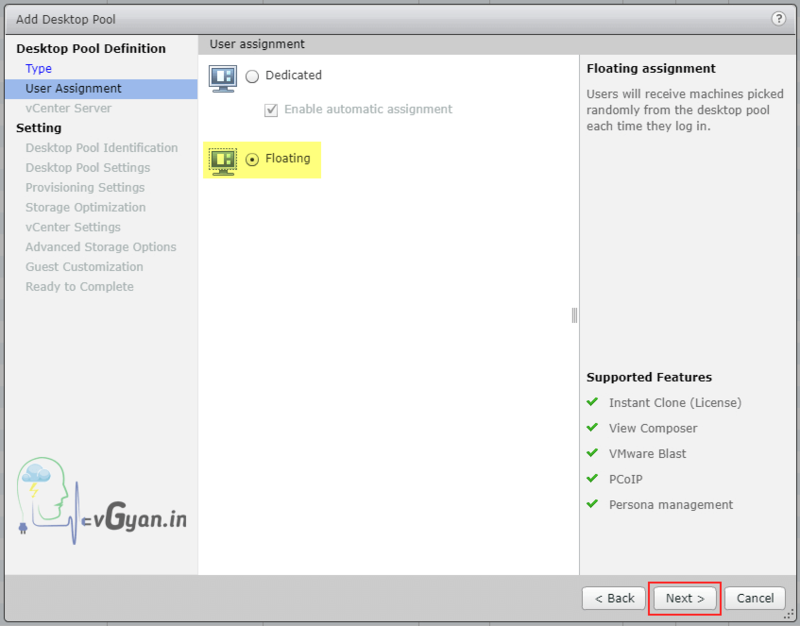 Double click on “vGyan_VDI_02” floating desktop. 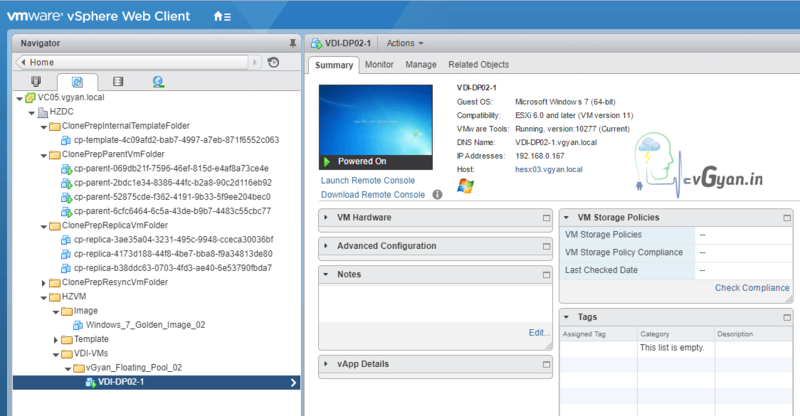 Now I am able to access newly created “VDI-DP02-1″ desktop through VMware Blast Protocol. 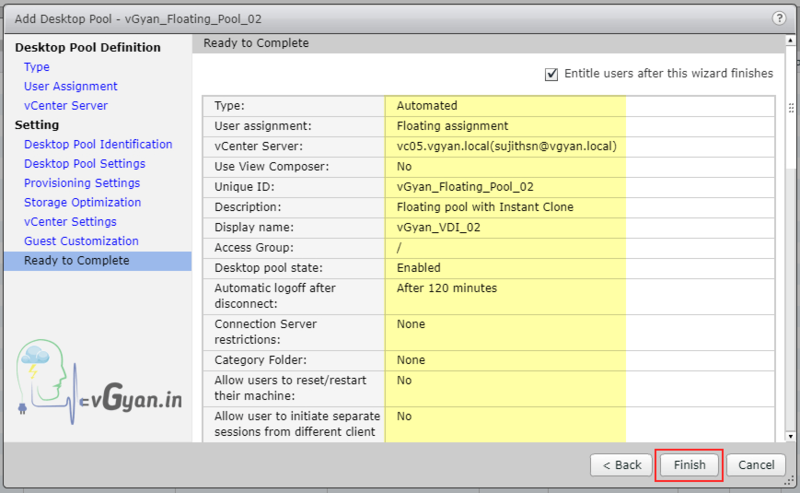 So we successfully deployed Automated Floating Desktop Pool with Instant Clone Technology.